Want to relive those funky, synchronised sounds of the 80's? Earl Cole may be best known for his renditions of songs made famous by the likes of Michael Buble, Frank Sinatra and Dean Martin, but in the 1980s he was an up and comer on the Perth music scene who had number 1 and number 3 albums on the Western Australian Independent Charts. Almost 3 decades later, his love of 80s music led earl to form 80’s Inc – a cover band that specialises in playing the best 80s dance and party music and aimed fairly and squarely at the party and corporate market. 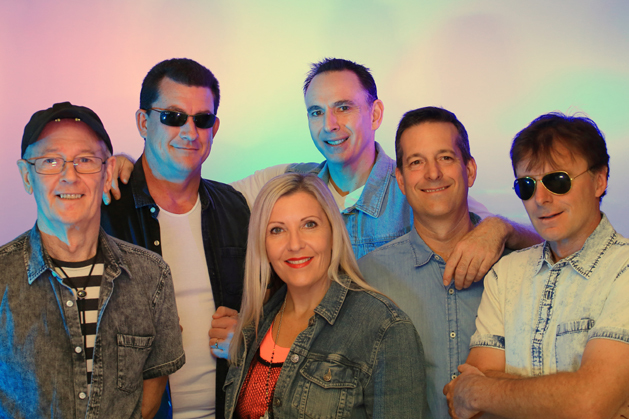 The six piece line-up boasts some of Perth’s best musos of the 80s era. **The show can also be booked with 2 or 4 dancers to really help liven the atmosphere! Earl is one of Perth’s best known Jazz, swing and lounge vocalists and is a full time professional entertainer. In a former life he was an accomplished keyboard player and a talented composer and singer/songwriter who released a number of original albums spanning some 20 years. in the mid 80s he had a number 1 and number 3 album on the WA Independent Charts. He supported a number of touring acts including Pseudo Echo and Do Re Mi and was also a semi finalist in the 1985 WA Battle of the Bands – as the only soloist. In 2006 he was a top 5 finalist in the classical music category of the Music Oz Awards. 80’s Inc is a return to his roots. Louise is a full time flute teacher, plays a mean sax and has a voice ideally suited to 80s pop and rock. She has performed in a number of cover bands over the years and most recently sung with Karina Difabio as part of her ABBA tribute Abbasalute. Mark was a guitarist for The Marigolds in the 80s. The Marigolds had a cult following in Perth and played a mix of retro covers and original music. The elder statesman of the band, Kevin played bass in prominent cover bands Midget & The Farrelys, The Toucan Club, Bonsai and other well-known local acts of the 80s and 90s. Most recently he has been a member of Flipside. Apart from his superlative bass playing, Kevin is also an excellent vocalist in his own right and his backing vocals add real polish to the band. John is the youngest member of 80s Inc. A graduate from the Western Aacademy of Performing Arts (Bachelor of Jazz), he also plays keyboards for Perth original band Ladywood and has previously played with Sambalicious and Funksta. Mark played drums in various London bands during the height of the new wave/romantic era of late 70s and early 80s. One band of note he played with was Pre Set. Pre Set released an album and a single in 1981 which received radio airplay and very positive reviews. Mark moved to Australia later that year and joined the high profile 50s / 60s retro band The Teddy Bears. Alongside some of Perth’s best musicians, Mark played drums for The Teddy Bears during their heyday from 1981 to 1984. Mark’s love of music means the opportunity to join 80s Inc and once again play with top shelf musicians was too good to pass up.